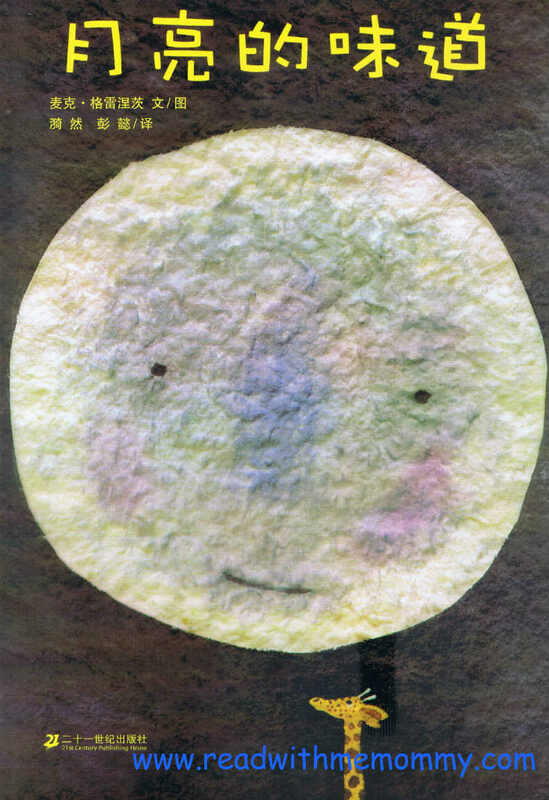 A Taste Of The Moon was originally written in German, Wie Schmeckt Der Mond, and was translated into Chinese. The animals had wanted to find out what the moon tasted like. One day, the tortoise decided to climb the tallest mountain, in an attempt to reach the moon. When he was up there, the moon was indeed closer, but still too far to reach. So the tortoise called the elephant, who climbed up on top of the tortoise to see whether they could touch it. Amused, the moon decided to move away a little, and the elephant could not reach it. So they started calling all the other animals, one by one. 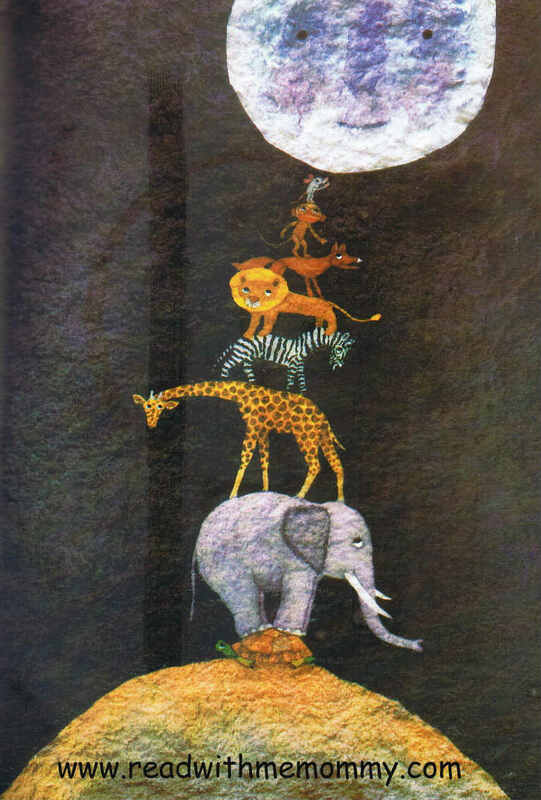 Eventually, they formed a tower with the tortoise at the base, followed by the elephant, the giraffe, the zebra, the lion, the fox, the monkey... Each time the moon saw another animal arrive, it moved away just a little bit more to stop them from reaching. Finally, the mouse came along, and when the moon saw the mouse she thought to herself 'Such a small animal will never reach me'. And she stayed where she was. So the mouse climbed up the tower of animals and -at last!- managed to tear off a small piece of the moon. It then passed down a piece of the moon to each of the other animals below. And what did it taste of? Read the book to find out.. This book is well written and suitable for reading to kids of young age. 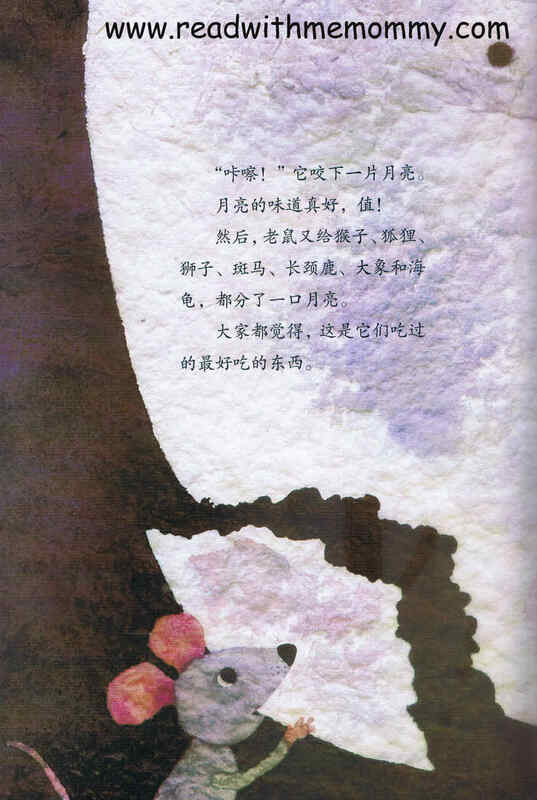 It has a repetitive and cumulative structure and parents can encourage the narration of the various animals in the book, such as giraffe, elephant, etc, as they appear. This book is available in hard cover. 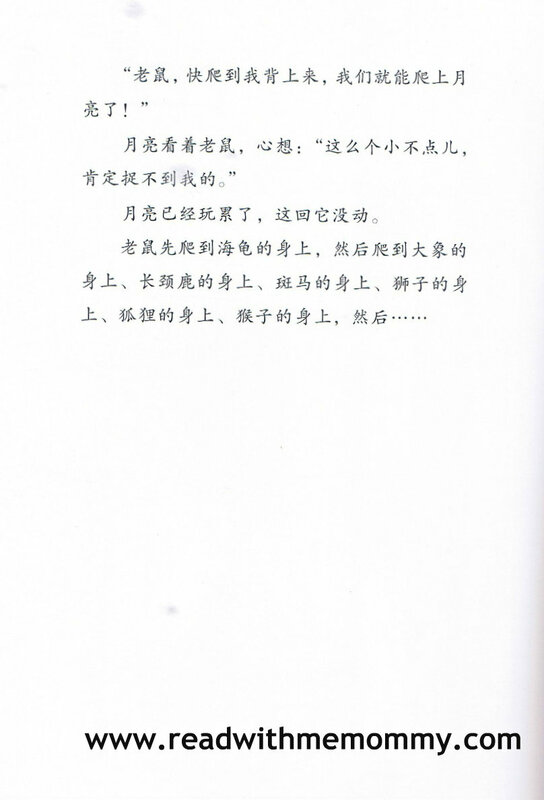 There are no hanyu pinyin. For reading to the child, this book may be suitable for children of 3 years and above. For self read, this book may be suitable for children of 5 and above.